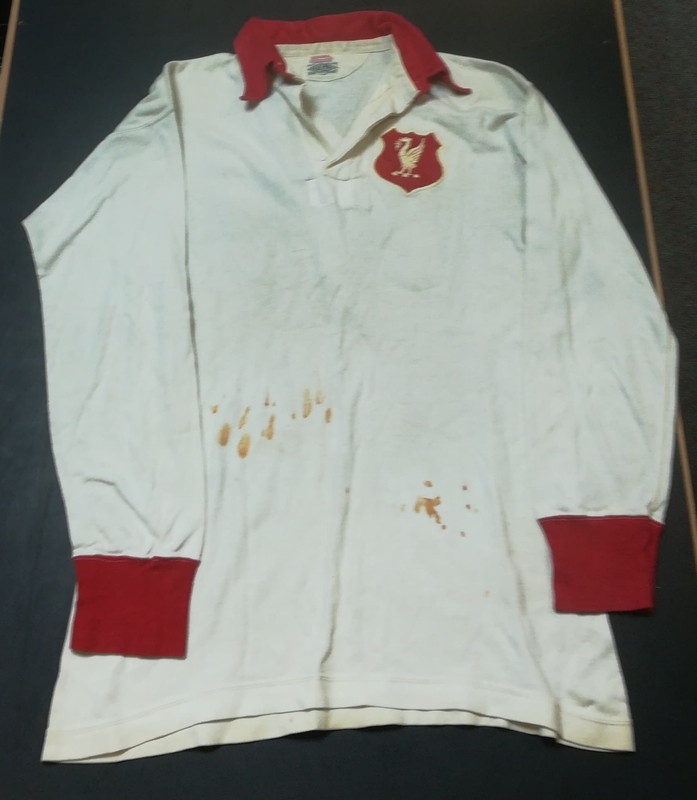 Willie Fagan’s shirt collection is a new addition to The National Football Collection, and this is the best of the three! 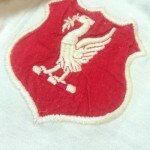 Fagan featured in two FA Cup finals, including the 1950 game for Liverpool, against Arsenal at Wembley. 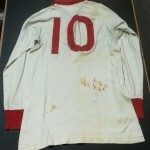 The shirts all come directly from Willie’s family, along with a number of other important items from his long career, both pre and post war. He would leave Liverpool in 1952 for Distillery in County Down, before a final stint playing for Weymouth, who he then went on to manage. 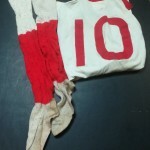 Willie was another former player to be sadly ravaged by dementia in his old age, and his collection was eventually hidden away, as he made a number of attempts to destroy items from it. 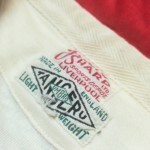 The shirt also comes with a pair of Liverpool FC socks, although given the colour, they would not have been worn for the FA Cup final game, as the Merseysiders switched to blue and white for that particular game.